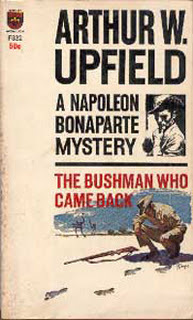 Napoleon “Bony” Bonaparte is called to the Lake Eyre region of northern South Australia about 700 km north of Adelaide. At the remote Mount Eden homestead Mrs. Bell, cook and housekeeper, has been murdered and her 7 year old daughter, Linda, has been abducted. All attention has been focused on finding Ole Fren Yorky an itinerant stockman with a great fondness for strong liquor whose tracks were found leading away from the yardsite. Bony is suspicious when Aboriginal trackers cannot find where Yorky has gone. How do a man and a child disappear even in a vast wilderness? The limited locations of water in the desert are well known. To find out what has happened Bony pursues information with the local group of aborigines headed by the blind Canute. There are fascinating descriptions of Aboriginal gatherings and storytelling. Bony, half Aboriginal, is drawn into the local Aboriginal relationships. The aged Canute owns Meena, a young woman, promised to him by her mother, Sarah, when Meena was a baby. Meena and Charlie, a young member of the group, are interested in each other but denied a relationship because Meena is already owned. Bony sets out on a personal inspection of Yorky’s fence line inspection route along Lake Eyre. Riding a horse he proceeds from camp to camp, sometimes days apart, where Yorky has stashes of food. It is a time when distance was measured by how far a horse could travel during a day. Lake Eyre is a grim forbidding expanse of mud surviving even a multi-year drought. Bony demonstrates his accomplished tracking skills though he acknowledges the far greater skills of the aborigines. Bony’s keen skills at observation and interpretation are far different from modern police who rely heavily on forensic equipment and tests. In his ability to obtain information from scrutiny Bony reminds me of Sherlock Holmes. Once again Bony must deal with both blackfellow law and whitefellow law. The language is occasionally patronizing of the Aboriginal people. The language would be unacceptable in current literature. Lacking any personal knowledge of Australia of the 1950’s it does remind me of the actual language and attitudes of Canadians toward Canadian Indians when I was a young boy. While the language is not politically correct there is more respect for Aboriginal people and the culture than condescension. “The complex half-caste Bony is, I think, my favorite fictional detective of the past twenty years; and he’s never appeared in a novel richer in adventure, suspense, local color, folklore and absorbingly studied contrasts in cultures”. I enjoyed again how the mystery was a part of the culture and the land and the era in which it was set. It is an Australian story. Each time I read a Bony book I learn more about rural Australia of generations past. 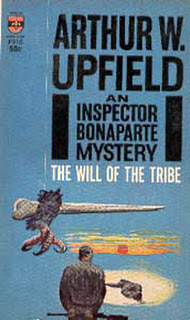 It was shortlisted for the 1958 Edgars. This review was first posted on Mysteries and More from Saskatchewan and is reproduced here with kind permission from blogger Bill Selnes. 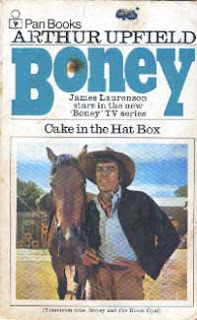 When in Launceston, Tasmania last year I was looking for Australian mysteries and came across the Pan paperback edition featuring a cover photo of James Laurenson from the “Boney” television series of the 1970’s. The story was written and takes place in the 1950’s. It is set in the wild and remote Kimberley ranges of northwestern Australia. Detective Inspector, Napoleon (“Bony”) Bonaparte, because of plane trouble is forced to stay in Agar’s Lagoon. 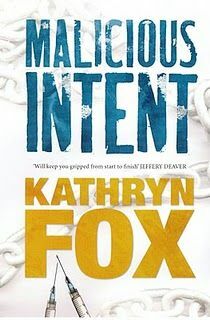 While there the local police officer, Constable Stenhouse, is found murdered and his aborigine tracker, Jackie Musgrave, is missing and presumed to be the killer. The investigation takes Bony into the rugged lands of the ranges talking to the widely scattered families on their stations. It takes tough men and women to survive in this country. It is a rare man who is not a hard drinker. The town is noted for being surrounded by a ring of empty liquor and beer bottles. Too expensive to return they are dumped. Bony is an anomaly in the Australia of the 1950’s. Half aborigine he has gained a position of importance and respect in the white world. In the northwest Australia of that time the aborigines are divided between the station blacks (workers and servants for the white settlers) and the wild blacks (still existing off the land). While the whites use radio transmitters the blacks take to the air with smoke signals that efficiently communicate messages between camps. As Bony investigates he becomes aware there is a parallel black investigation taking place. It was fascinating to read of the black justice system. Travel is slow and difficult. There could not have been a greater contrast with Mission to Chara. Bony averages 3-10 mph with stops for tea and conversation. There is a measured pace to the investigation. In Mission Colonel Phinney was traveling over 2,500 mph with decisions being made in seconds. There is less time for reflection in the 21st Century. WHILE APPRECIATING COMMENTS FROM ALL VISITORS I WOULD BE VERY INTERESTED IN COMMENTS FROM AUSTRALIAN VISITORS ON THE BONY BOOKS 50 TO 80 YEARS AFTER BEING WRITTEN AND THE T.V. SERIES CLOSE TO 40 YEARS AFTER THE SHOWS WERE TELEVISED. You might like to visit Bill’s blog to leave a comment on his original post, but also feel free to leave it here. This is a review from Canadian Bill Selnes who blogs about crime fiction (and more) at Mysteries and More from Saskatchewan where he originally posted this review. Detective Rubens McCauley has returned to the mean streets of St. Kilda after recovering from a bullet wound to his shoulder. 18 year old street kid, Dallas Boyd, has been found dead of an apparent overdose in the alley beside a restaurant. Against the background of a late summer heat wave and horrific bush fires raging north of Melbourne McCauley allows himself to be persuaded it is a routine O.D. that needs but a superficial investigation. Uncomfortable with his decision McCauley looks deeper into the facts and finds a series of anomalies. Boyd has been murdered. McCauley starts down the uncomfortable path of admitting his first assessment was wrong. At the same time McCauley is re-evaluating his personal life. His mother has had a stroke and he is reaching out to his ex-wife, Ella, hoping for a reconciliation. The plot takes McCauley into a sordid degrading area of street life. While the plot is predictable it is credible. The story is firmly rooted in St. Kilda. 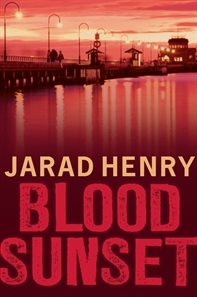 It is uncommon, but nice, to read a police procedural with a real mix of crime and family. It is a good mystery.